These are vintage lucite cabochons that were made in Italy. 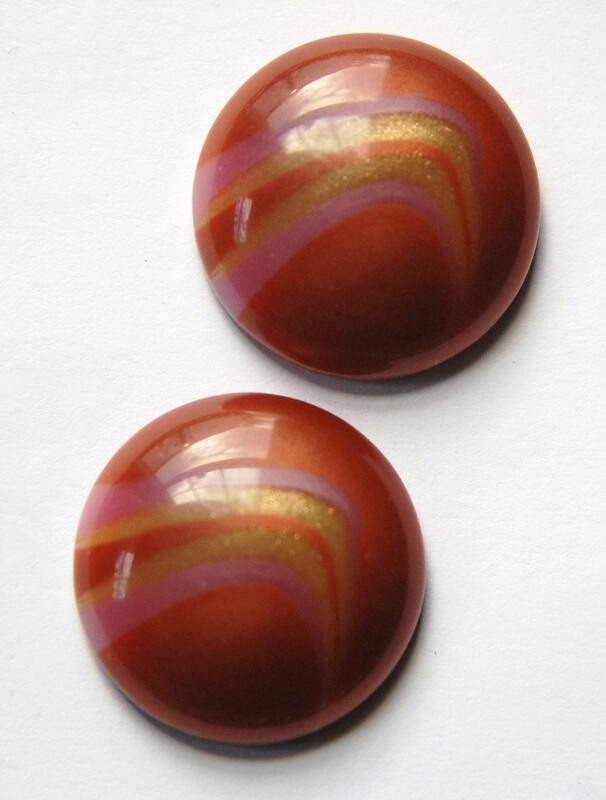 They are a caramel brown with swirls of gold and purple. These measure 25mm. You will receive 2 pieces. Beautiful pattern including a gold iridescent swirl, well-made, great quality. Excellent shop & customer service.